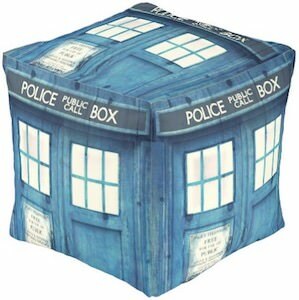 If you are a Doctor Who fan that likes to sit-down then you just need to check out this Tardis pouf. The pouf is square and is covered in images of the top part of the doors of the Tardis and as it is so clearly Doctor Who it will be just a perfect edition to you home. You can get this Doctor Who pouf in two sizes and comes in different fabrics so that you can get the pouf you like and they even have an outdoor version so that you can have the Tardis in the garden this summer.